The president slammed the oil cartel for production cuts that spurred the highest oil prices since 2014. Whatever his intent, members meeting in Jeddah should be wary of leaving the field open for rivals. A U.S. shale-drilling frenzy would hurt prices more than a tweet. U.S. President Donald Trump speaks as he hosts a joint press conference with Japan's Prime Minister Shinzo Abe (not pictured) at Trump's Mar-a-Lago estate in Palm Beach, Florida, U.S., April 18, 2018. 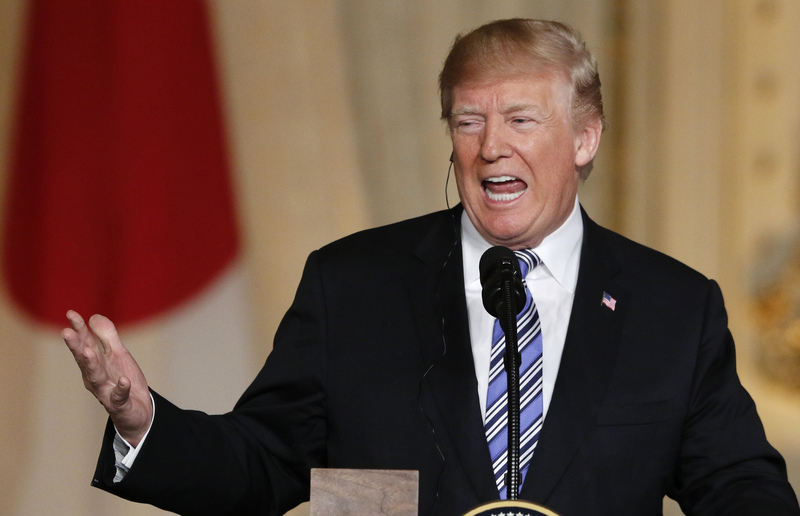 U.S. President Donald Trump on April 20 criticized OPEC for output reductions that have helped raise oil prices and said the action would not be tolerated, as oil prices appeared set for a second consecutive week of gains. Earlier Saudi Arabia’s energy minister, Khalid al-Falih, had said that global oil inventories had declined from the peak but had still not fallen far enough. Falih told reporters at a ministerial panel between OPEC and non-OPEC countries in Jeddah that while inventories at 2.8 billion barrels had fallen significantly below a 2017 peak of 3.17 billion barrels, they were still above levels at the time when the oil glut had started to materialize. A global oil glut has been virtually eliminated, according to a joint OPEC and non-OPEC technical panel, two sources familiar with the matter told Reuters on April 19. The meeting of the joint committee found that oil inventories in developed nations in March stood at 12 million barrels above the five-year average, one of the sources said, down from 340 million barrels above the average in January 2017. Saudi Arabia would be happy to see crude prices rise to $80 or even $100 a barrel, three industry sources told Reuters on April 17. Brent was trading at $74 on April 20, having reached its highest level since November 2014. Following Trump's comments it fell to $72.97.